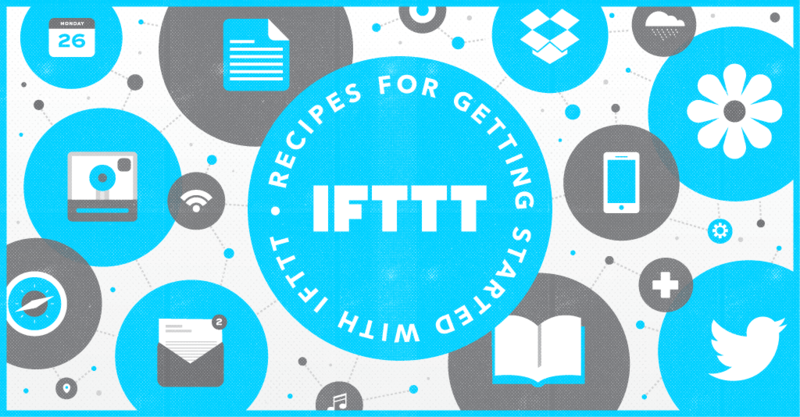 If you have been following along, you may have read my blog about IFTTT. 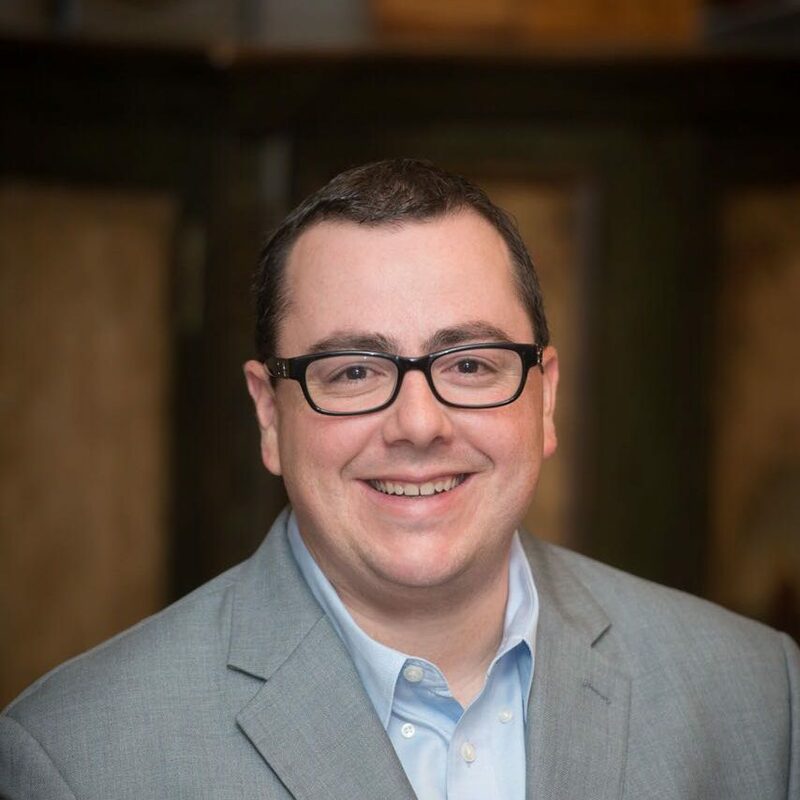 It is a great little automation tool that lets you hook one activity to another (IE, when I change my Facebook profile photo, set my Twitter profile photo to match). I use it a lot, but I have also found it leaving my wanting a bit. Sometimes I want to do a few things, I want to trigger a chain of events, etc. Then I came across Workflow. 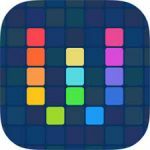 Workflow is a neat little app that lets you create workflows or a chain of events you want to run. You create them, and then you trigger them using a button in the app, using an action extension, a today widget, or even using the companion app on your Apple Watch. It has a bit of a learning curve, but it allows you to do complex workflows with multiple steps using multiple apps. My only knock in it is that it can be a bit glitchy and I don’t like how it looks while it is executing a workflow. I wish you could make the screen a little more user friendly…. run the actions in the background rather than watching it progress. Having said that, I can overlook those two drawbacks because it is such a powerful little application. I have written a couple workflows that I use quite often. The first is my “Send Location” workflow. When you run this handy little workflow, it starts by asking what kind of location you want want (Navigon, Google Maps, Apple Map, or text Lat,Long). You then enter a title for the location you are (My Work, Home, Record Store). It then pops open the camera for you to take a picture. After taking the photo and confirming, it takes all the information you entered and creates a new txt message with that picture and URL, ready for you to enter a recipient and send. The person that received the message will get that link to the exact coordinated you are at with a picture of where you are. I use this often when I want to explain where I am or how to get to me. The person can just open that link and it will give them directions to where I am and a picture to know what to look for when they arrive. Powerful stuff right? Another great one I use is for making a QR code to a web address. This on is very simple. When I’m in safari and I want to make a QR code to the address I’m visiting, I run this extension. It takes the web address, asks for a dimension, and then creates an email with the created QR code as an attachment. Very handy for making quick QR codes on the fly. I’m on a few web forums, that use some standard codes for images. It I want to upload a few pictures to a post, this is a great little utility. This lets me pick a photo (or photos) from my phone, uploads to a cloud space at a manageable size, and then copies the code for use in the forum to display those pictures in the post. Super handy. And lastly, if you have ever shared a photo on Instagram to Twitter you will notice it doesn’t actually share the picture, but a link to your Instagram URL. That bugs me. So I made this little utility to take the last photo shared on your Instagram account, and create a twitter post with that picture (and description) from your Instagram feed. Pretty handy. 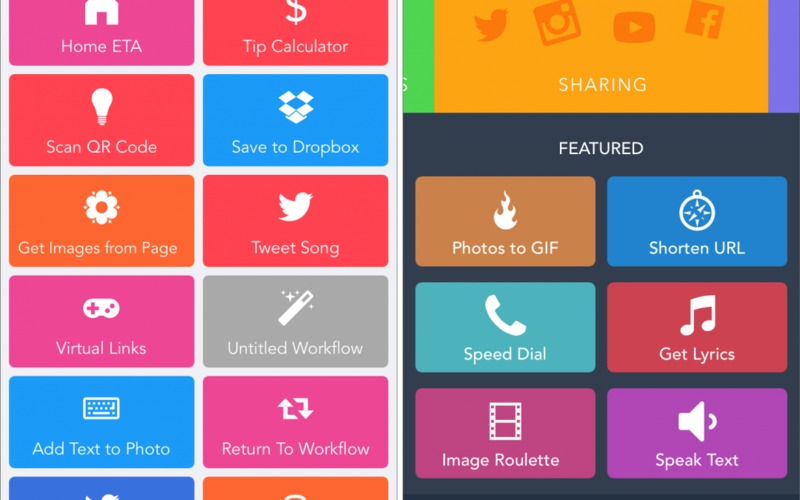 So maybe these few workflows will get your creative juices flowing for things you might want to automate. Or maybe you just want to try the workflows I have created. I have included them below for you to import if you like. Give them a try, and let me know if they are useful for you. If you have been following along, you would have already read my blog post about Stocard, software I use for managing all my rewards cards without carrying them in my wallet. In that post I briefly talked about my iPhone Wallet case, the sport wallet from Doc Artisan. Months later, I still love this wallet case. It is high quality, has enough locations to hold my ID and a couple cards and a bit of cash. It is a perfect way to minimize your pocket bloat. The other thing I love is that the phone is held in this case via magnet, so it is simple to remove. It is this simple magnet mount that I became enamored with. I bought their matching magnet mount to put in my car. So when I get in the car, I pull the phone away from my wallet and tap it to the mount and off I go. Super simple. It is easy to rotate as you just pull the phone off and reattach on its side. It is strong, I haven’t lost the phone driving in our Saskatchewan roadways. It just works. Since I loved it so much, I bought a second for the other vehicle and dropped a metal plate in Erin’s phone case so she too can use the mag mount. Once I got these two mounts in the vehicle I got to thinking about the iPad. When we travel, we somethings attach the iPad the headrest of the passenger seat so Cole can watch a show or two. The cheap mount I bought at the time wasn’t’ great. It didn’t fit around the child case we have on the iPad (a Snugg kids case, we highly recommend). So it was a pain in the *ss to use. Also, when the show ended or it was time to take it away, it was difficult for a person in the front seat to manage. So I looked around for a magnet solution. 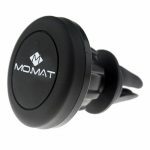 I didn’t find anything, but luckily most of these magnetic mounts you buy on ebay/aliexpress/etc are cheap and use the same magnet ball mount and the cheapo headrest one also used a ball mount. So I ordered a few the cheap magnet mounts like pictured for a project. When they arrived, I found the ball mount matched, so I attached to my cheap head rest mount. 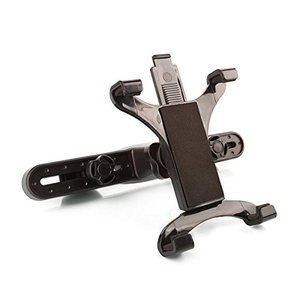 The idea was great, but the iPad with the metal plates attached was just a bit heavy for the mount. Bumps caused the iPad to shift as you drove. So I did a little engineering…. 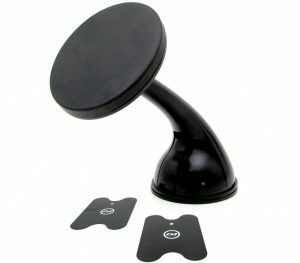 I took two of the magnet mounts, attached them to part of an old hockey stick and then mounted that to the headrest. SUCCESS! Now the iPad is stable inside its case and attached to the headrest. And now if we need the iPad from the back seat, it is a simple grab and pull. I loved the concept but the look was a little ugly. I did finally find a dual head mount that matched my needs. 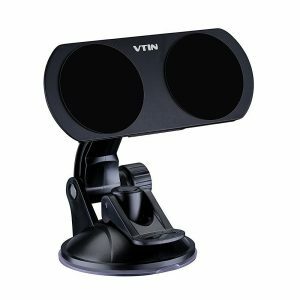 I ordered a from Vtin 2 in 1 mount from Amazon. I removed the dual head from the suction mount and attached to the headrest mount and we are off and running! 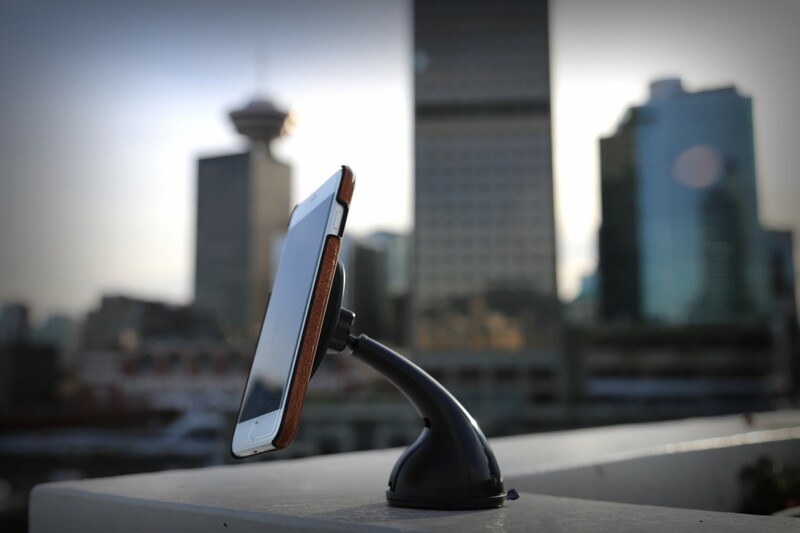 Now I have a left over suction mount….. what to do with that? Well I took the head off of the cheapo ball magnet mount I had purchased and attached to the suction cup. This is now a desk mount for me. I can tap my iPad or iPhone and it is mounted to my desk at perfect display angle! Gone are the days of clamps or sleeves for devices for me. Now when I have a device I want to mount, I just toss in on of the metal plates and it becomes compatible with my many mounts around the house and vehicles. My next task is to build an under cabinet magnet mount so we can attach the iPad for recipe reading or music listening. So if you are looking for a great mounting solution. Look for the magnet. And avoid the ones that require some special adapter attached to your device. If it takes anything other than a thin metal plate, skip it. If you have spent any time around me talking computer stuff, you have undoubtedly heard me talk about Plex. I love Plex. Today they released version 1.0 of the server, so I thought it was a fitting day to blog about it. It is an amazing piece of software (well, several pieces of software that hook together actually). 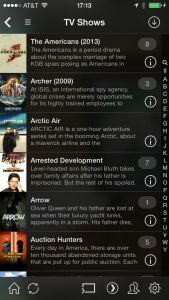 Plex allows you to set up a home media server to manage/share your media such as music, movies, tv shows and photos. You install the software (free) on a computer (Windows, Mac, Linux) and then point it at the folders you store your media in. You need those folders to be somewhat separate (keep Movies/TV/Music in their own folder) and named in a way that makes sense (the filenames are used to do look ups). The software will then go out to the internet and get all the pretty artwork and details about your media. What format does the media need to be in? Pretty much any, the Plex server will handle any converting in the background if a player requires it. 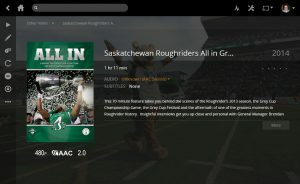 Once you have your media in Plex, you can then access that media using a Plex client. 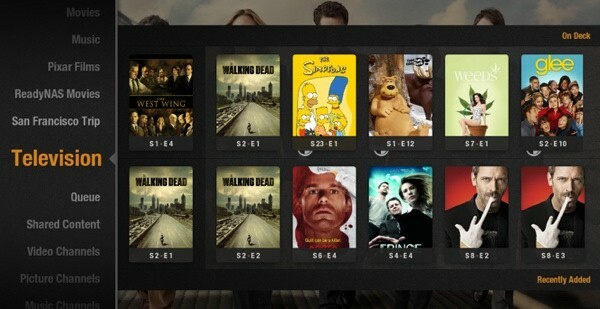 There are LOTS of Plex clients available. iOS, Android, Windows OS all have Plex clients available. The new Apple TV has a client. 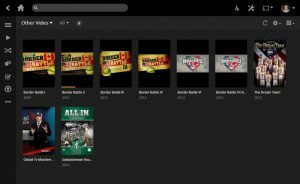 Xbox and Playstation have Plex clients. Some Smart TVs and media devices like the Roku have a Plex client. There is even a web version of the client, so you can use any web browser to act as a client. 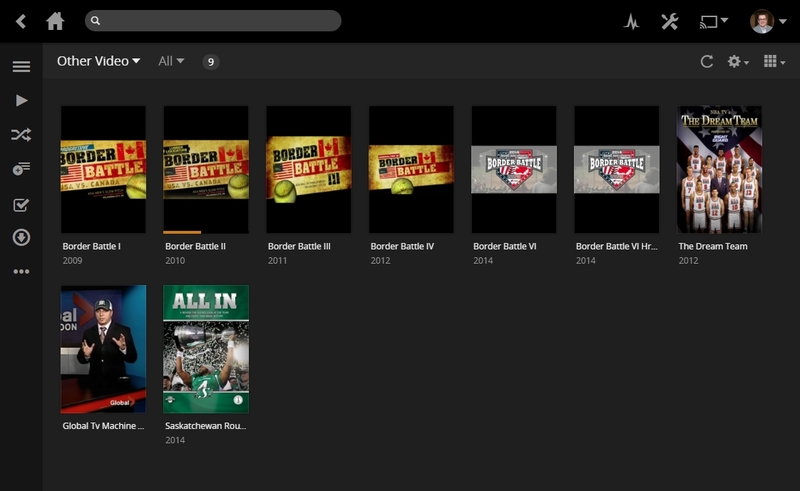 This essentially allows you to access any of the media stored on your Plex server from any of those Plex clients anywhere you have a network connection, AND if your internet is fast enough, anywhere you have internet access! You can even share your media to a friend that is running a Plex client. What that means is that in our house, we have access to all our media on every TV, computer, tablet, and phone. I can start watching media on one TV, and then resume it on another. Once I watch a show, it marks it as watched so I don’t have to remember where I left off. And if you don’t have a network connection or don’t want to use up all of your mobile data? Well some of the clients support using Sync to put those files on your device before you leave the house. It requires the purchase of a Plex Pass subscription for that, but it is highly worth it (I bought a lifetime subscription). We always have a few shows and moves on the iPhones and iPads for emergencies or when we travel. Nothing calms a toddler down quicker than being able to watch his favourite show. Hmmm…. but if all of your media is on a server, what could the kids stumble across? Well Plex thought of that too. You can set up user switching for everyone that has access in your house and keep content locked down from some users. You can set up an account for your kids so they don’t have access to anything but kids shows, or shows movies G. All very handy. 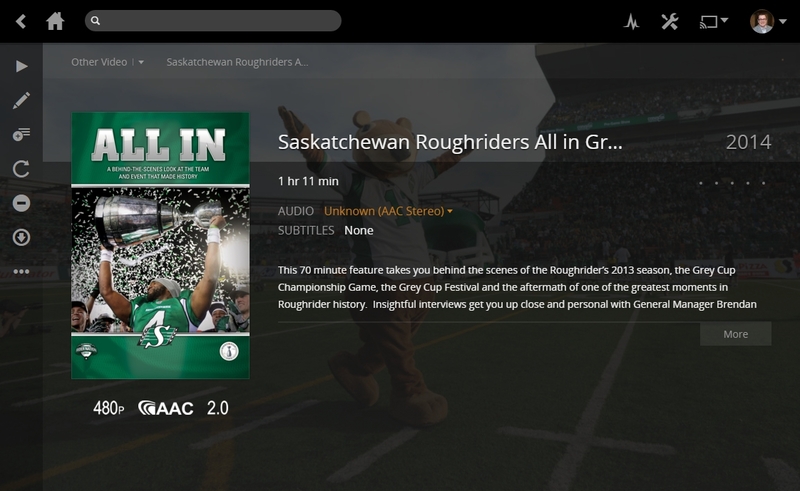 Again, another feature of the Plex Pass. So I did say I have access to all my media on all my TVs. Well I don’t have Smart TVs in the house (yet) so I had to add a little additional hardware/software to do it. If you are an iOS household and have an Apple TV, you can use the plex client on your iOS device to airplay to your Apple TV. 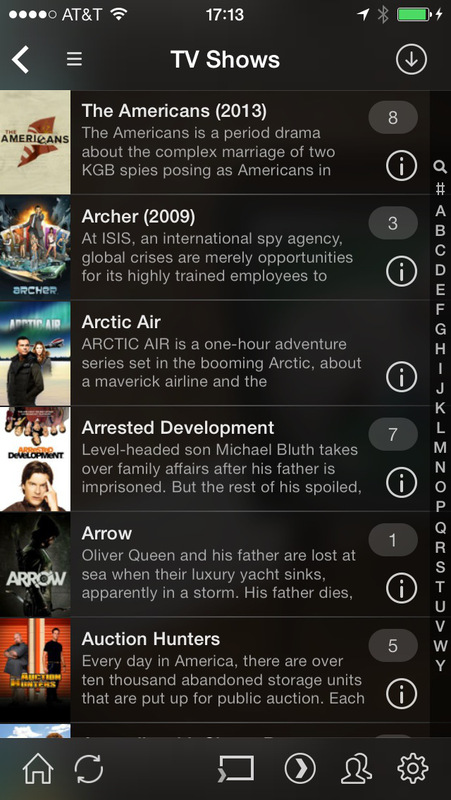 Newer Apple TVs have a Plex client you can install and control directly with the Apple TV remote. But I don’t like having to depending on using my phone or ipad to watch. So I bought a couple cheap Raspberry Pi computers and installed RasPlex on them. It is a dedicated (and free) client for the Raspberry Pi computer. You can then use any of your devices to remote control the plex player, or you can get a remote to control the RasPlex computer just like you would a DVD player or PVR. So as you can see, it really is an awesome piece of software and what I consider a must for anyone that has a large collection of media to manage. There are even more features available (Channels of content, auto photo upload, etc) that I currently am still learning about. It truly is a must for the techy home media enthusiast. Where you get all your media from will be your problem to solve, but once you have something started and organized, this is a must to put on top of it. 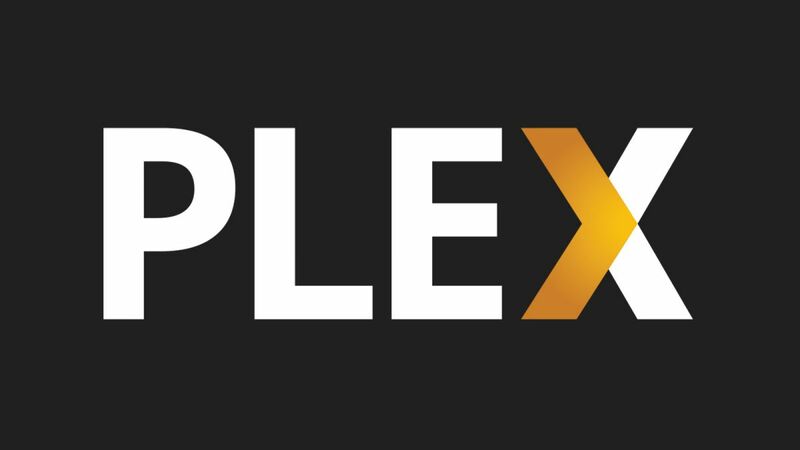 PS – And as a reminder, buy the Plex Pass! It is soooooo worth it, and it supports the hardworking developers behind this project. So, you may or may not be away of this, but most modern smart phones have GPS built in. It can tell where you are when the location services settings for your phone are turned on. It generally drains the battery when it is running, but it offers many useful functions. Your pictures can tag where you are when they are taken, you can check-in at your location on Facebook to show where you are shopping, you can have different events fire off when you are entering or exiting a particular area. More and more people are writing cool little tools and functions to take advantage of this useful hardware piece. I’m sure you’ve opened up the maps application on your phone (Apple Maps, Google Maps) and found it can tell you where you are, and even give you driving directions where you are going. 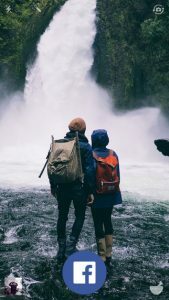 It’s great, but it generally requires a data connection (internet access) the entire time you travel. While that is becoming less and less of an issue with modern data plans and cellular coverage, it can be an issue it areas of the country, and if you are travelling outside of Canada can really cost you big bucks while roaming. 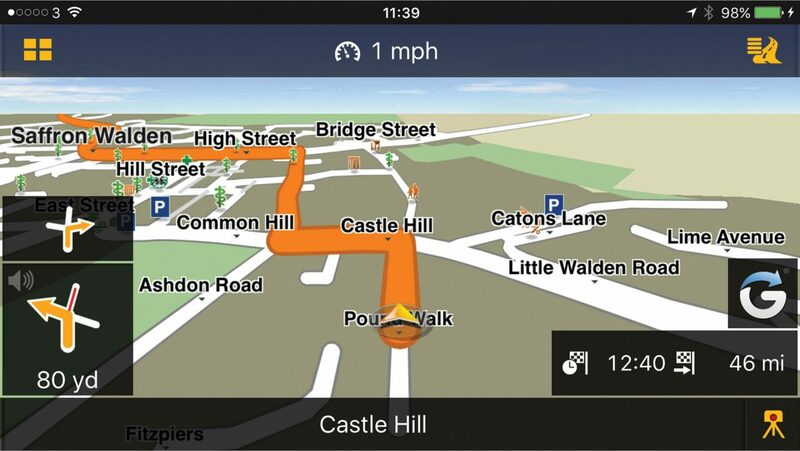 I’ve also fund the interface to not be as nice as some of the dedicated GPS systems on the market. So I bought an application for my navigation purposes. I use an application called Navigon. Navigon has been in the market for a while, making dedicated GPS systems for car navigation, and are now owned by Garmin, a name I’m sure you will recognize. They make a great (and not that cheap product). I purchased the Navigon North American edition (maps available for US and Canada). It is a $60 app (look for it on boxing day and other holidays as it can sometimes be 50% off) and if you have family sharing or multiple devices you only need to purchase once. Then inside the app, you use the map manager to choose the maps you want to install (the areas you plan to travel). You can change those maps at any time. There is an add one you can buy to then get fresh maps every time they release one (about once a quarter). Once the maps are there, you don’t need a cell connection any more to work. If you roam to the US or if you are in an area with no coverage, you can still navigate. Points of interest, gas stations, restaurants, etc are all available to so you have information available if you arent online. This has come in very handy to me. So if you are looking for something with offline navigation that is a bit more robust than the standard built in applications, I highly suggest purchasing this app. It is fantastic. I would never consider buying a standalone GPS again. It does have an app for Android, Windows Phone, and iOS. 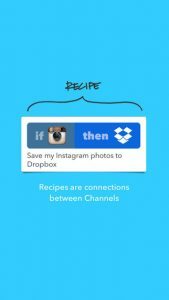 IFTTT…… Did you follow along? A quick little timesaver app….. if this happens, do that…. I am currently using this utility to automate lots of little things. If I post something new on my website, I have rules that will cross post to Facebook and Twitter. If a new piece of RSS news gets posted on MLBTradeRumors.com with Toronto Blue Jays news, I get an email with the details. (You could write a rule to email you whenever I made a new blog post) There are loads of little utilities you can write quickly and easily with this little utility. If there is a task you do over and over (email spouse you are on the way, backup your new contacts to your google drive, etc) install these apps and give it a try. 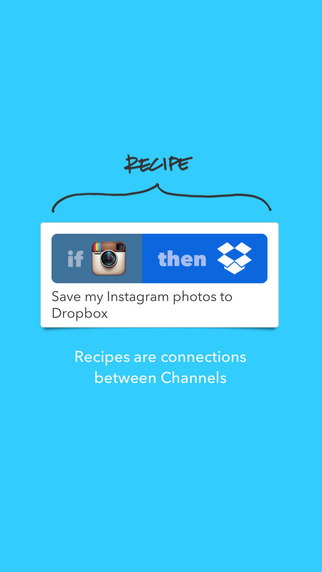 You will be able to quickly and easily write little recipes to do simple tasks. A diamond is just a piece of coal that’s done well under pressure.